The purpose of the Reservoir Technical Committee is to provide technical expertise as it relates to reservoir research and management to SDAFS as needed, to fund student travel and meeting participation via the Robert M. Jenkins Memorial Scholarship, and to meet annually to share and disseminate information as needed to assist resource managers by providing reservoir-related management strategies, appropriate research findings, and other applicable management tools. Reservoir Committee meetings shall be open meetings. The Chair may appoint anyone expressing interest in the activities of the Committee. These appointments will be considered advisory, and do not have voting privileges. Voting members are those representatives from state and federal agencies, academia, and private enterprise approved by the President, SDAFS. Changes in personnel should be submitted to the Chair on a timely basis so that a current membership roster is maintained. Membership can be maintained indefinitely. However, if three (3) consecutive meetings are missed, the Chair, after consultation with the member, the Southern Division President, and the Committee, may request termination. The member may request reinstatement by written appeal to the Chair. Members must notify the Chair prior to meeting if unable to attend. A quorum will consist of a minimum of ten (10) voting members. All decisions must have a majority support. Quorums can be met through the use of designees, proxy votes, and/or absentee ballots. Chair is filled automatically by the current Chairperson-Elect. Serves a four (4) year term. Organizes meetings by working with other technical committee chairpersons and SDAFS/ExCom to determine meeting dates and locations. Traditionally a winter meeting is held in January/February in conjunction with SDAFS/ExCom. 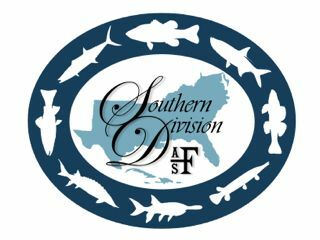 If needed, a fall meeting is held in conjunction with SDAFS annual meeting. The Chairperson develops meeting agendas and provides committee members with meeting dates, locations, and agendas in advance of meetings. Conducts meetings using Robert’s Rules of Order as a guideline for doing business. Works with President to set committee membership each year. Attends Southern Division midyear and annual ExCom meetings to report on committee activities and assure compatibility between ExCom and committee goals and objectives. Provides committee news items to SDAFS newsletter editor in advance of each edition. Chairperson-Elect is elected by a majority vote of the members for a one (1) year term to run concurrent with the final year of the current Chairperson’s term. Nominees for Chairperson-Elect are chosen by a nominating/elections committee appointed by the current Chairperson. Substitutes for the Chairperson in that person’s absence. Secretary-Treasurer is elected by a majority vote of the members for a two (2) year term to run concurrent with the Chairperson’s term. Nominees for Secretary-Treasurer are chosen by a nominating/elections committee appointed by the current Chairperson. Records and produces minutes for each meeting and sends them to the Chairperson within ninety (90) days. Keeps financial records and a checking account from which Committee-approved expenditures are disbursed. Prepares a financial statement for each meeting.